Complete the 145km Canberra Centenial Trail in 1 weekend. Over one weekend we will run, walk or ride our way in a relay around the entire 145km of the Canberra Centenary Trail. Create a feast using bush tucker only. Most of us totally ignore native foods, but they are high in nutrients, sustainable and we are going to prove delicious by creating a feast. Put the GA team in a dragon boat and paddle in a regatta. Dragon boating takes strength, team work and speed, something we think we have, so we aim to test this at a dragon boat regatta. Voting has closed. The winning challenge is Complete the 145km Canberra Centenial Trail in 1 weekend..
Canberra Hub is raising money to support the Eastern Bettong. Voting is now closed. Canberra Hub's pledge is closed for voting, but you can still support Canberra Hub and the Eastern Bettong by making a donation using the 'Make a Donation' button above. 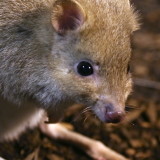 Canberra Hub has pledged to complete the most popular challenge — Complete the 145km Canberra Centenial Trail in 1 weekend..
Help Canberra Hub raise money for the Eastern Bettong. Yvonne Harrington gave $50 and voted for Complete the 145km Canberra Centenial Trail in 1 weekend. Peter Coyne gave $50 and voted for Complete the 145km Canberra Centenial Trail in 1 weekend. Michele Smith gave $20 and voted for Create a feast using bush tucker only. David and Meredith Hatherly gave $50 and voted for Complete the 145km Canberra Centenial Trail in 1 weekend. Rod Duncan gave $50 and voted for Create a feast using bush tucker only. Bevan gave $50 and voted for Complete the 145km Canberra Centenial Trail in 1 weekend. Renay Gamble gave $20 and voted for Create a feast using bush tucker only. Sasha Torsi gave $20 and voted for Complete the 145km Canberra Centenial Trail in 1 weekend. Rohan essex gave $10 and voted for Complete the 145km Canberra Centenial Trail in 1 weekend. 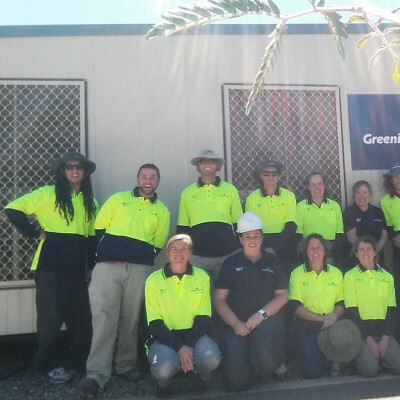 Support Canberra Hub Greening Australia by donating directly to the Eastern Bettong.